At the beginning of 2013, we were contacted by Johan Solberg (of Norway) in regards to experiencing papermaking in Japan. Having traveled in Japan and studied a basic Japanese language course, Hiromi decided to connect him with the papermakers of Kochi to start with in October 2013. The following is his very first report! My name is Johan Solberg and I work with traditional bookbinding, both with book restoration and new bindings. I grew up in Norway and I am currently running a bookbindery in a city called Halden close to Oslo. Washi is essential to my repair and restoration work, and I also appreciate the aesthetics of washi. Therefore I wanted to gain a deeper understanding about washi, how it’s made, and also to learn more about Japanese culture. Hiromi Katayama of Hiromi Paper Inc, along with her contacts in Kōchi, made it possible for me to travel to Ino-chō, Kochi to get a first hand experience of washi making. I am really grateful for this possibility. My journey first went from Stockholm, Sweden to Tokyo. It was an 18-hour flight. Next I journeyed further with shinkansen and regular train from Tokyo to Ino-chō, Kochi. I was met by Tsuyoshi Ageta at the station in Ino-chō. We went directly to the house in which I was going to live. When I came in to the house, I was really overwhelmed. A welcome party was held for me! We had a great night with a lot of good food and conversations. I was very jet-lagged and I needed a few days to recover. On the following Tuesday of my arrival, Ageta-san drove me on a tour around the area. The surrounding nature is absolutely stunning. Steep foothills covered in dense green forest. We started on a road that followed the clear waters of Niyodo river. Tosawashikougeimura was our first stop. 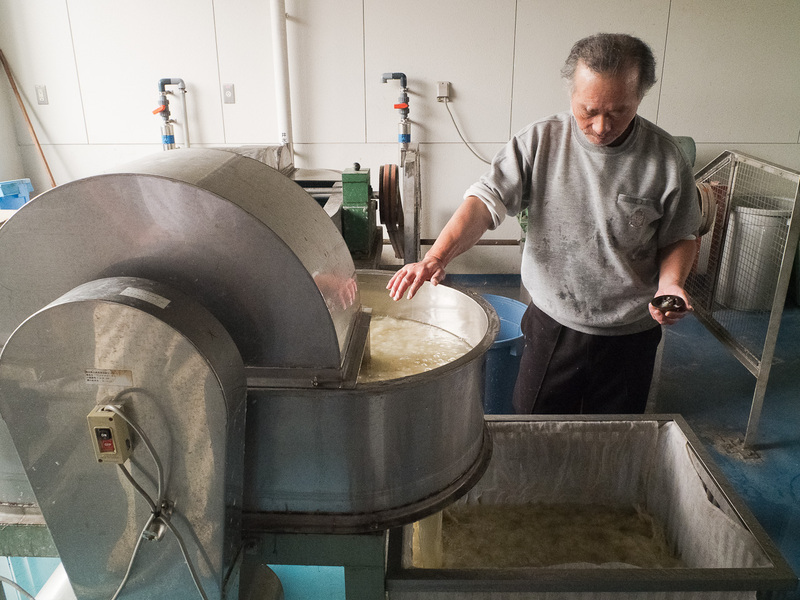 At this place I was introduced to the way the fibers are cleaned to perfection after they have been cooked (Chiritori). We continued our drive passing farmlands and traditional Japanese wooden houses until we reached Tengujoushi Kyoudousagyoujo. Here we met Mrs. Mie Hamada who was making baskets used for koubori. Mrs. Hamada also showed us different sheets of papers, which had been beautifully decorated in various colors. Our next stop was the Paper Museum in Ino. I got an exclusive tour around the museum by Ageta-san and Tomoko Hosokawa who spoke perfect English. So I learned a lot and got se see traditional equipment for washi making and also books and items made of washi. After the Paper Museum, Kochi Perfectural Paper Technology Center was the next place on our list. Masaaki Ariyoshi gave me a splendid tour around the facilities and explained me in detail the process of washi and I got to look at different types of fibres. Ageta-san showed me the collection of washi samples from the whole of Japan. That really gave me an idea of the complexity of the craft. Our next stop was in Tosa city at the paper mill of Kensho Ishimoto. Here I got to observe the drying process, as well as looking around in the interiors of this traditional paper mill. Our final stop of this tour was the paper mill of Takeo Ishimoto. Tsuyako Yokogawa (in the picture) was making large sheets of paper. It was amazing to watch her skilled movements of the suketa. I even got to try, but it was extremely difficult, and the result became a lump of fibres. Before we went back to Ino, we drove on a narrow road heading up the hillside. At the end of the road surrounded by green forest was Kiyotaki-ji Temple. This was the first temple that I have visited on Shikoku, and I really hope to go visit others as well. I learned a lot that day, and I got to see the washi making process from different perspectives. It was also a very good introduction to the area. The next day I started working as an intern at Takaoka-Ushi Co., Ltd. Communication is of course challenging, because of my very limited Japanese, but my coworkers are very patient and I really feel included. My first task at the paper mill was to remove dark spots from the kozo fibers (Chiritori). The work requires a lot of patience and concentration. It feels good to participate in the washi production.